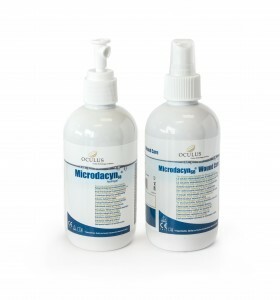 Microdacyn is a patented Super Oxidised Solution (SOS) for superior wound healing first approved by the FDA in 2005. The unique SOS technology creates a triple mode of action that significantly reduces time to wound healing, including severe wounds such as Diabetic Foot Ulcers (DFU), Venous Ulcers and Burns. The powerful antimicrobial effect replicates one of the body’s own defence mechanisms against pathogens. 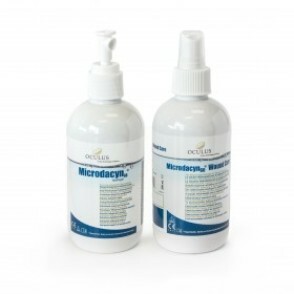 Microdacyn destroys bacteria (including drug resistant bacteria (‘super bugs’), viruses, fungi and spores in a matter of seconds. While the pH neutral, non-cytotoxic solution leaves human cells completely unharmed. You can add more products to your current order by clicking on the product categories or searching below.